Posted in: Arcade Posts, Music, News, Total Nuclear Annihilation. Exciting day today! The Total Nuclear Annihilation album just hit the streaming services this morning. I think a few of them are lagging behind the rest, but they should follow suit today. Thank you everyone for the support on this project. If you would still like, the Cassettes of this album and FLAC files are still available for purchase from the links below. This album was released on Cassette at the beginning of 2018 in limited supply. Make sure to get one! Posted in: Music, News, Total Nuclear Annihilation. By popular demand, the FLAC (Free Lossless Audio Codec) audio files are now available for purchase for the “Total Nuclear Annihilation” album! The album will still be hitting all of the streaming services for free on Friday January 26th, 2018. I have also made a few other of my albums available on the Music Production page of my website. 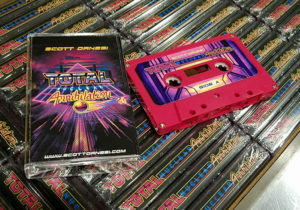 Just wanted to throw this out there that the Total Nuclear Annihilation Soundtrack is now available on a limited run cassette at Pinball Life. 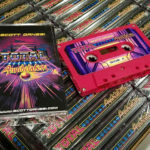 The Cassette will also be at the Spooky and Double Danger booths at upcoming pinball shows. The digital version of all the music will be available on all the streaming services at the end of the month in case you don’t have a cassette player. 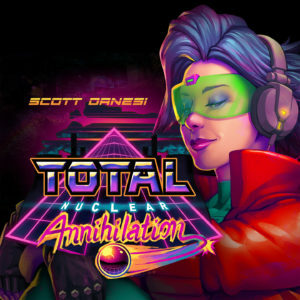 All music was written by myself (Scott Danesi) and the artwork for the cassette was done by Matt Andrews (the original artist for the game). Total Nuclear Annihilation v1.2.1 Code Update Now With Speed Runs!! !